Looks like you are currently in United States but have requested a page in the Zambia site. Would you like to change to the Zambia site? Digital, Political, Radical is a siren call to the field of media and communications and the study of social and political movements. We must put the politics of transformation at the very heart of our analyses to meet the global challenges of gross inequality and ever-more impoverished democracies. Fenton makes an impassioned plea for re-invigorating critical research on digital media such that it can be explanatory, practical and normative. She dares us to be politically emboldened. She urges us to seek out an emancipatory politics that aims to deepen our democratic horizons. To ask: how can we do democracy better? What are the conditions required to live together well? Then, what is the role of the media and how can we reclaim media, power and politics for progressive ends? Journeying through a range of protest and political movements, Fenton debunks myths of digital media along the way and points us in the direction of newly emergent politics of the Left. 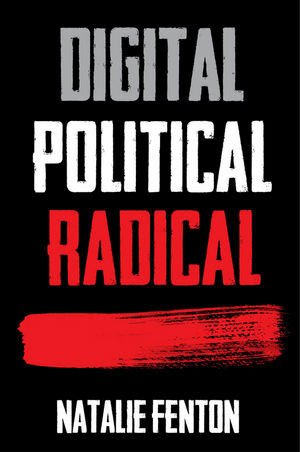 Digital, Political, Radical contributes to political debate on contemporary (re)configurations of radical progressive politics through a consideration of how we experience (counter) politics in the digital age and how this may influence our being political. Chapter 7: Conclusion: Putting Politics Back in the Picture? "A brilliant work of critical theory. This insightful analysis of the economic and political crises of our time points out the reasons why radical politics have eroded. Fenton also argues that the recent waves of digitally enabled mobilizations around the world may not be what effective democracy really looks like. This rich, well written book raises fascinating questions about the democratizing potential of digital media in neoliberal society. A call to action for scholars across the social sciences." "This book is political, timely and needed. The analyses of previous research in the areas of digital media and digital activism will be of great use to those studying and researching protest, the limits of liberal democracy and potential areas of change."